trans, and adm. 14th Sept. 1910. Marr. 30th April 1918, Adele, daugh. of Elie Le Couvey. in the progress of Ayatollah Kerr’s career. Several of these twelve men are familiar to me and make appearances in earlier entries so I feel a little bit mean in not having diligently made a list of links for you, but if any of them are of particular interest then a simple search should lead you to those entries. However, I am going to look at John Kerr the ‘Joiner and Tenant’ who is NOT someone in my own immediate family tree but who does feature in that of a well-known island ‘character’. John Kerr (1811-1879) was the older of the two sons of a Farmer, John Kerr, and his wife, the Weaveress Marion Macleod of Scarista and Borve. Both brothers became Joiners/Carpenters and the younger one, Roderick, was the father of John Kerr, the Minister of Harris who appears in Finlay J Macdonald’s ‘Crowdie & Cream’ as ‘Ayatollah Kerr’. John the Joiner makes three appearances in the Scottish censuses, as a Carpenter in Scarista in 1841, as a Joiner in Luskintyre with his Perthshire-born wife Janet in 1851, and as a ‘Journeyman’ in the company of two younger Joiners in ‘East Tarbert Shed’ in 1861. I should explain that in that year his wife, Jessie, was living in Obe with their five children and described herself as a ‘House Carpenter’s Wife’. What happens next is not one, but two migrations for the next child is born in Wales in 1863 and the one after that in Birkenhead in England in 1866, and it was there that the ‘Ayatollah’s uncle died in 1879. Looking at the Parochial Board list it is clear that several came from outside of Harris and that at least half had an interest in seeing the expansion of sheep-farms at the expense of the native population. There are also several family ties that I have yet to fully explore & make explicit but the lack of any representation of the majority of the populace on this particular Parochial Board is obvious. Finally, as I do suspect that this John Kerr is related to me and am sure that he (like all the other Harris Kerrs whose family trees I have fully constructed) was descended from ‘incomers’, probably arriving at the time of Captain Alexander Macleod, I think that his inclusion is indicative that in many cases they were allied to the ‘improvers’. This is not the first time that I have made this observation, and situations are always far more complex than one can hope to fully and accurately reconstruct after such a long passage of time, but John the Joiner, Member of the Parochial Board of Harris, uncle of John the (future) Minister of the Established Church at Scarista, who finally ends his days in England, must be trying to tell me something! I have added several people to this chart and, in order to render it at a reasonable scale, have stopped at his great grandparents generation. 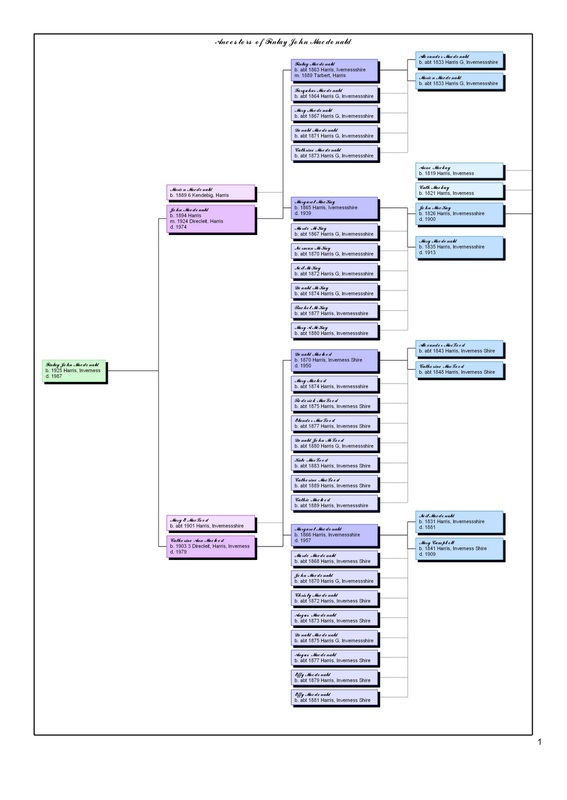 As far as I can tell, and this is a cross-reference between the Croft History of Direcleit & Ceann Debig with the Censuses and information from Mackay genealogy , these are the correct families but I have not ventured further along the various branches. I should point-out that the John Mackay born in 1826 was the Church Beadle at Scarista. More on Finlay J Macdonald can be found in these entries. 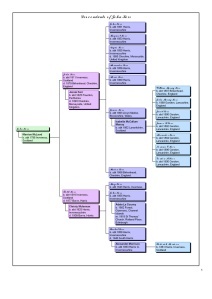 Here is a chart showing what I believe to be the ancestry of Finlay J Macdonald. I cannot be absolutely certain regarding this chart but it represents the ‘best-fit’ from what little biographical information has been previously published regarding this particular son of Harris. It will come as no surprise to regular readers of this blog that I am a fan of Finlay J Macdonald’s trilogy ‘Crowdie & Cream’. One of the pivotal, although already deseased, characters is that of the Minister, ‘Ayatollah’ Kerr. 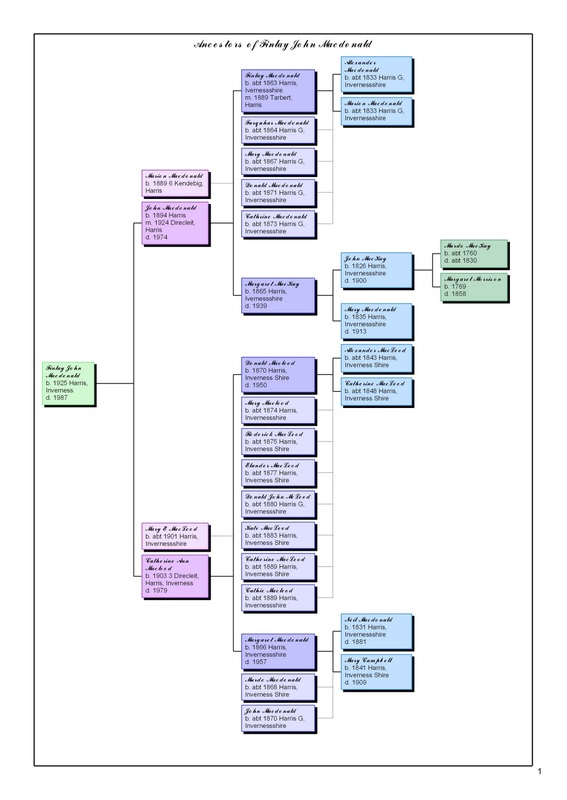 I have already described John Kerr’s family but here present a chart showing him and his relatives all descended from the two sons of his grandparents, John Kerr and Marion Macleod. Note: Other references to Finlay J Macdonald can easily be found from the tags to the right, and the search feature should enable you to discover background pieces on Borve and the two brothers, should you so wish. It is the 21st January 1925 and we are at Scarista, Harris to witness a wedding ‘after banns according to the forms of the Church of Scotland’. The groom is a 31 year-old labourer, Angus Kerr of Leverburgh, and his bride is Mary Cameron Macmaster, a 24 year-old Domestic Servant who was born in Old Monkland, Lanarkshire but whose current abode is indecipherable on the feint copy of the original certificate that I have before me. His father was Roderick Kerr, a Fisherman, and his mother is Peggy Kerr, MS Maclennan. Her father, Duncan Macmaster, is a Gamekeeper, and her mother is Maggie Macmaster, MS Ellis. Unfortunately, the best that I can discern for the two witnesses is ‘J Morrison(? ), Kentulavig’ and ‘Angus Campbell, West(?) Tarbert’, but what makes this particular certificate special, apart from the fact that the groom was my ‘Half 1st Cousin twice removed’, is the name and location of the Minister: John Kerr, The Manse of Harris. This is our old friend, the ‘Ayatollah’ of Finlay J Macdonald’s ‘Crowdie and Cream’, found officiating for the one and only time at the wedding of one of his island relatives. Not an event of great historical significance but a relatively unusual and, hopefully, interesting one! Note: Angus Kerr’s father, Roderick, was the son of my great, great grandfather, Malcolm Kerr, from his first marriage. Roderick (who’s mother may have died giving birth to him, but certainly was dead within 2 or three years of having done so) was brought-up by his grandparents, a service that Malcolm repeated with my own grandfather.